For the first ever Human Rights conference to be held in Kumba by Global Conscience Initiative, its staff was divided into groups and work was allocated to maximize efficiency. This staff was composed of Mr Ebenezer, Sophie, Lionel, Clavance, Njana, Dorris, Pola, Ian, Rachel, Maria, Bawa and Sabina. 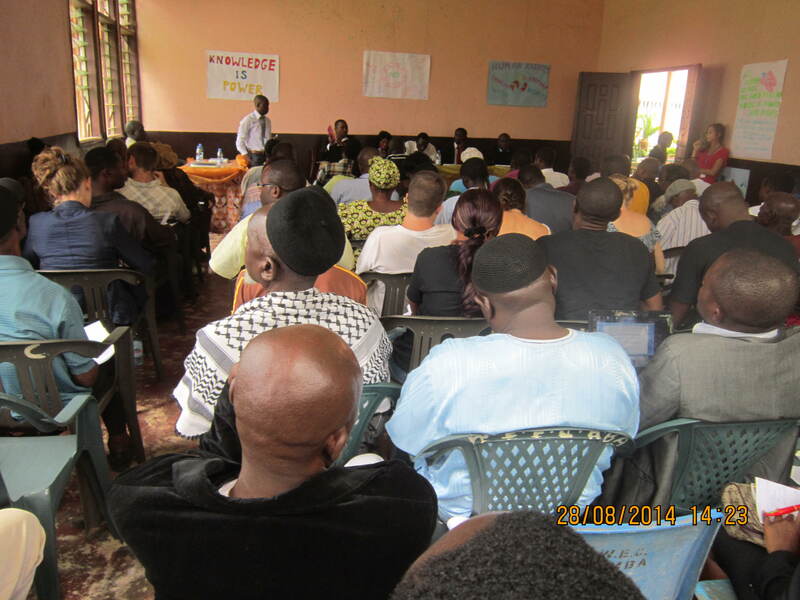 After long debates and consultation with professionals in the field including meetings with the Research house EITD Research, the theme was selected as Cameroon Law and Enforcement in Kumba, and four key topics were identified: Criminal Investigation & Procedure, Law on Identification & Practical Information, Legal Assistance and Freedom of Expression. A brainstorming session was also held, and research was done into relevant local legislation in line with the key themes. A conference hall, Kumba City Council Hall, was also selected as the venue for the event, due to its accessibility and its status within the public. However, one day before the event, GCI was informed that the selected venue would not be available due to an emergency meeting; thus, the venue was changed to the Women’s Empowerment Centre. Thursday was chosen to avoid clashing with local Market days, Church meetings and other weekly processions. The first section saw five presentations of about 15-20 minutes delivered by keynote speakers covering four topics. The first topic, Criminal Investigation & Procedure, was led by Bar. 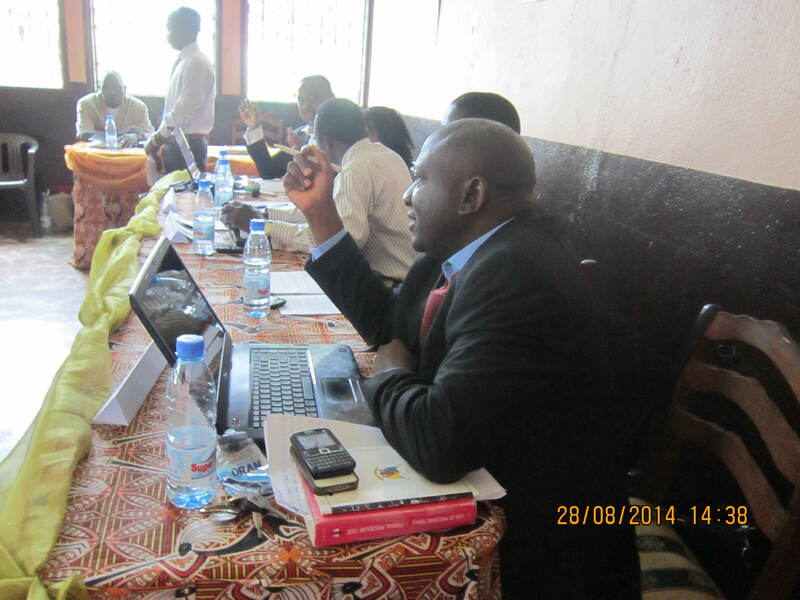 Nkea Emmanuel from Limbe, a former judge in Gambia with a wealth of experience in dealing with the criminal law. He went through the correct procedure that should be undertaken in a criminal investigation. Following the first address, Bar. Atoh Walters, delivered a charismatic presentation criticising gaps he identified in the Cameroonian legal system. He made recommendations for the introduction of an action for malicious prosecution and advocated for means to hold state actors accountable for overly lengthy detentions for suspects. The second theme was the Law on Identification and Practical Information, which was led by Bar. Pende E. Nelson, of Pens Law Chambers. The aim of this session was to educate members of the community about their rights and obligations in everyday circumstances. Many are in general unclear about local legislation regarding when and to whom to pay fines and the necessity of carrying updated identification, and this session helped to increase awareness. The third theme was Legal Assistance presented by Mr. Chamango Blaise of Human is Right an NGO in Buea and the aim was to inform guests on the means to attain legal aid when necessary. This was included based on the principle that everyone has the right to be represented in court, and lack of means to procure legal services should never be an obstacle to justice. The final theme was Freedom of Expression, which was led by Ms Olive Ejang, a journalist by profession and a current staff of the Meme Divisional Delegation for Communications. Ms Ejang introduced the right of freedom of expression, which is a right enshrined in the Constitution, and discussed limits to this right and censorship in the media. Each of the presentations were followed by questions from members of the public, who were highly enthusiastic in participation and had many doubts to clarify and challenges to make to the content of the speakers’ addresses. There were many questions from the floor such as why do journalists abstain from putting some strategic happenings in theirs news letter? What have the lawyers done to urge the state in revising the ambiguous Criminal Procedure code? What exactly to do when a police officer violate your rights? And what are the Human Rights NGO’s doing to help provide legal aid? After the question and answer sessions, there was a little break and snacks were provided. The guests were then divided into smaller working groups based on the four areas. This provided them with the opportunity to engage in a longer and closer discussion of key issues, and also allowed professionals to network with others with similar interests and based in similar fields. Each group then presented their ideas and recommendations to fix some of the problems raised. GCI is now working on these recommendations to make sure that they are implemented in the Kumba society.